It lived a half-billion years ago, was as large as a man, and feasted on pretty much everything that was smaller than it was — which was most things. 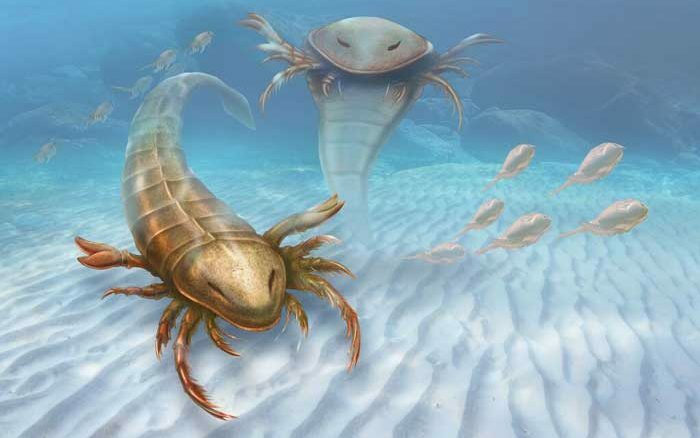 A newly discovered species of giant sea scorpion, recently unearthed in a fossil in Iowa, is the oldest such animal ever found, and the largest sea scorpion of its time — an apex predator in the ancient ocean that once covered the American Midwest. “The new species is incredibly bizarre,” said Dr. James Lamsdell, a paleontologist from Yale University, who reported the find in a press statement. 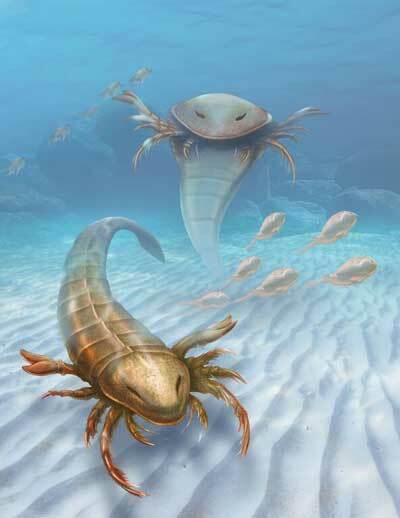 Though not true scorpions, sea scorpions were aquatic arthropods that thrived from 240 million years ago all the way back to 460 million years ago — which is the record-setting age of the newly found specimen. Most sea scorpions were scarcely more than 20 centimeters long [8 inches], but this new species reached lengths of up to 1.7 meters [5.5 feet]. This — along with its hardy exoskeleton and eight nimble limbs — likely earned it a comfortable berth near the top of the food chain, researchers say. So the scientists named the new animal Pentecopterus, after another historical long-tailed sea hunter: the penteconter, the 50-oared warship used by the ancient Greeks. The fossil of Pentecopterus is in an exquisite state of preservation, Lamsdell reported, which has allowed him and his team to discover features that have never been seen before in such a creature. “The shape of the paddle — the [rear] leg which it would use to swim — is unique, as is the shape of the head,” Lamsdell said. Moreover, the skeleton of Pentecopterus is so well preserved that the researchers can even observe some of its smallest structures, like the joints in the legs and the setae, or tiny hair like structures, that lined many of its limbs. “The exoskeleton is compressed on the rock but can be peeled off and studied under a microscope,” Lamsdell said. Thanks to details like these, the fossil has already provided some unexpected insights, including the fact that Pentecopterus’ back legs were significantly shorter than the rest, so the animal probably walked on only six of its eight legs. And its limbs appear to have been fringed with tiny spines, much like modern horseshoe crabs — an adaptation thought to aid in feeding. Researchers have even been able to study the tiny follicles, or pore-like pits, that its bristly setae grew out of. Judging by the follicles’ small size, the scientists think the hairs may actually have served as sensory organs. Lamsdell and his colleagues report their findings in the journal BMC Evolutionary Biology. 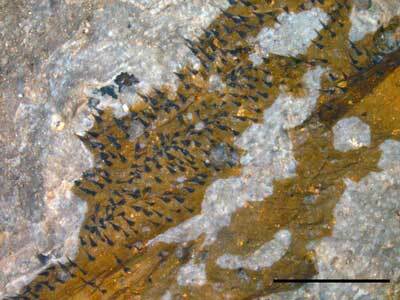 It takes great faith to believe that the fossil’s tiny hairs, a fraction of a millimeter long, were PRESERVED IN ROCK FOR 240 MILLION YEARS. Do any of today’s “thinkers” ever wonder why the mud encasing this creature turned to stone before the creature could decay??? It’s an amazing thing that we are so self righteous as a species on this planet…. we are that half a fraction of a millimeter in the time of this vast world. We are in our infancy as we are as curious as a child wanting the answers to why we are here….You ask what and man will answer look into the past if you seek your future….